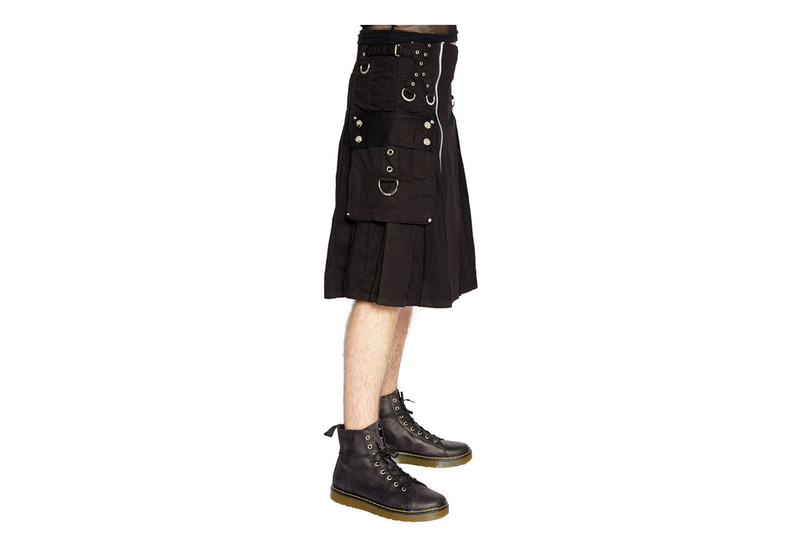 Black canvas pleated utility Kilt with cargo pockets, D-Ring details and extra wide belt loops. Front side zipper closure with grommet strap details. 100% cotton. Made in the USA. Hand wash and dry flat. 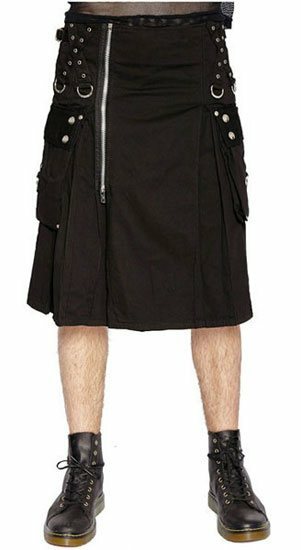 Love this kilt the size is perfect and it is well made. Great Purchase. 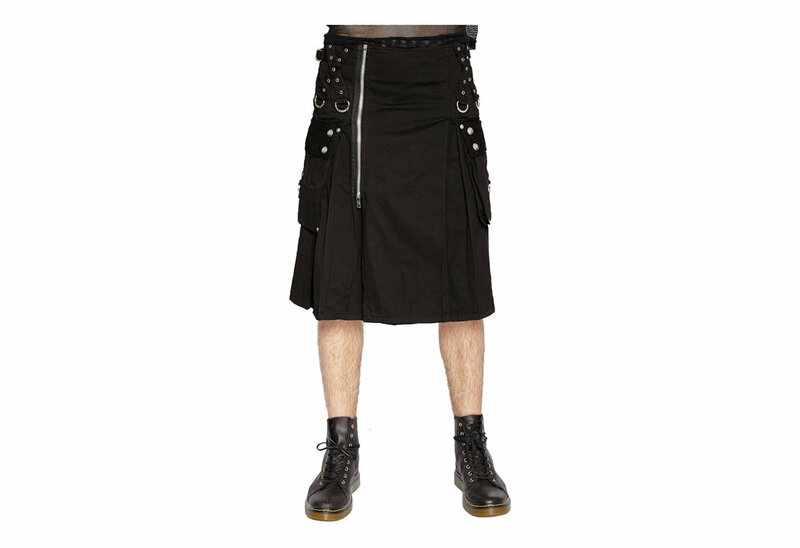 This Kilt is awesome. Nothing more to say, just awesome. I got this from another site before I learned or Rivithead (for a more expensive price, unfortunately)it looks great, but the front is pretty plan, I have a skull belt buckle that helps but it could use a good traditional sporran. 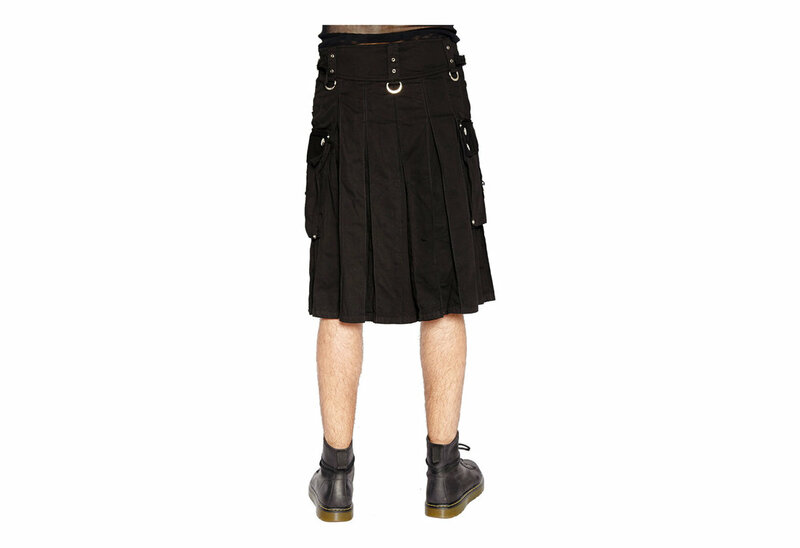 This picture does not do this kilt justice. It is absolutely awesome! Thanks Rivithead!